Though overshadowed by the more popular and developed Cameron Highlands Hill Station, Fraser’s Hill quietly beckons, offering those in seek of solace a cool and calming getaway, just a short drive from Malaysia’s chaotic capital. In this day and age, when travellers want to cram in as much as possible within as short a time as possible, it’s comforting to actually find places where there is very little to do. Many of us enjoy weekend escapes because of some attraction or activity, but Fraser’s Hill (Bukit Fraser) appeals mostly because it is a destination to simply kick back, relax, and enjoy the cool mountain air. bungalows, many of which are now retained by large Malaysian corporations. 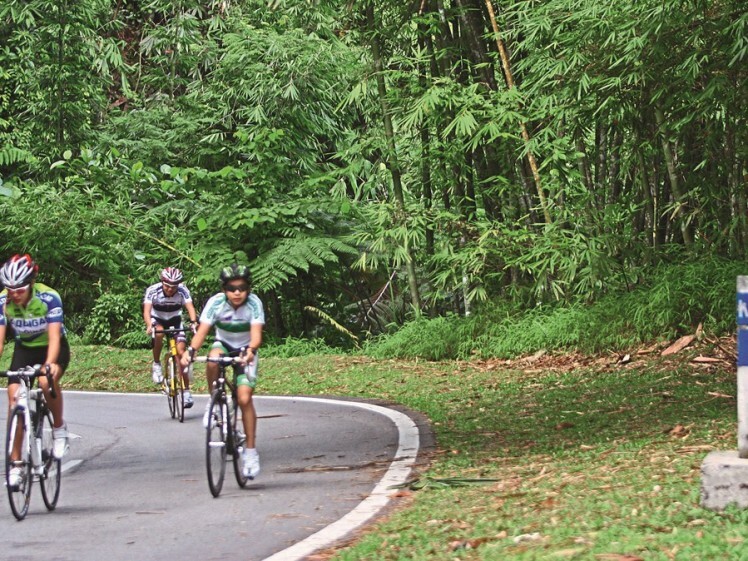 Because it is not hot and humid, Fraser’s Hill is a good place for physical activity such as hiking, playing golf on the nine-hole public course, tennis, cycling and horse riding. The circuitous road from Kuala Kubu Bharu to the summit is very popular with cyclists who cycle from the bottom to the top to develop strength and stamina. In the 1890s, Louis James Fraser was the first European to set eyes on the 1,500m-high plateau in the Titiwangsa Range. Not surprisingly, the hill station is named after him. He set up a mule-train to transport valuable tin ore from the mountains down to Kuala Kubu Bharu in the lowlands. Though he mysteriously disappeared some years later, the hill was developed by the expatriate community who were forever seeking destinations that were cooler than the hot and humid lowlands. 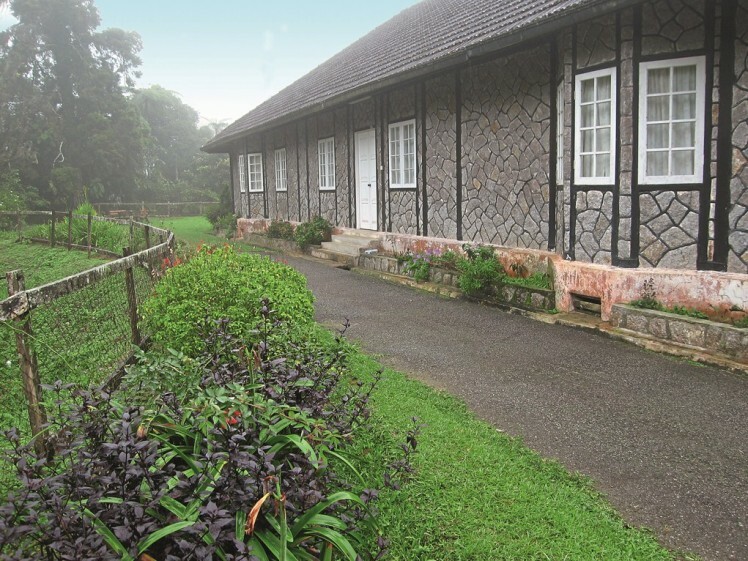 This hill retreat retains its colonial charm and offers an escape to a more peaceful era. Just like the Cameron Highlands, visitors to Fraser’s Hill get the distinct impression that they are somewhere in the misty England countryside with the mock-Tudor bungalows, open fireplaces, temperate gardens and Devonshire teas. However, unlike the more developed Cameron Highlands, Fraser’s Hill is a lot smaller and most attractions are within a comfortable walk from each other. Things rarely get crowded and while some visitors may find this boring, others will think they have discovered paradise. 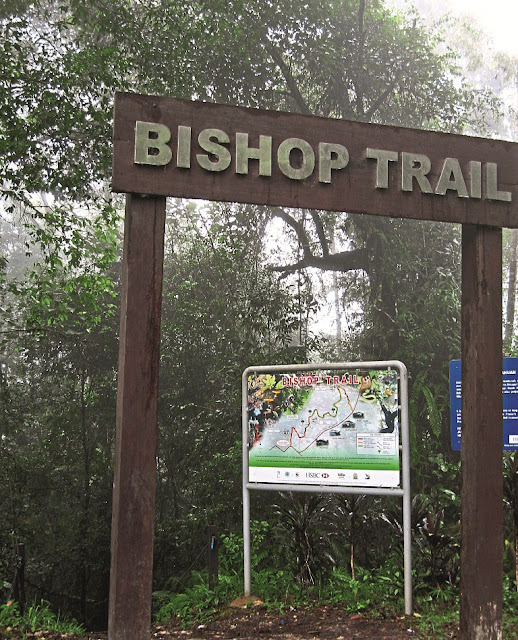 Visitors can discover the rich montane flora on one of several well-established trails in the highlands with Bishop’s Trail being a good introduction. The trail commences from near Silverpark Apartments and emerges near Muar Cottage. It traverses pristine montane forests with tall tree ferns being one of the many typical plants. It is reasonably well-signposted, with a placard at the beginning of the trail providing useful information on things to be seen along the walk. The only place to dine with any style is Ye Old Smokehouse, where traditional Western (English, specifically) cuisine features. This means dishes such as roast beef and Yorkshire pudding and when enjoyed in front of a fireplace in the cool air, few complain. Guests in the boutique hotel can also indulge on Devonshire teas, beverages in the cosy bar, and even a nightcap in the lounge room after dinner. Declining tourism numbers over the years have seen the progressive closure of other restaurants and the village’s solitary bar. Most of the bungalows, however, retain domestic staff who prepare home-cooked meals for their in-house guests. Being a champion for bring your own (BYO), I love Fraser’s Hill as it’s about as dry as the Sahara here, and alcoholic beverages in Fraser’s are as scarce as a taxi on a rainy KL night. The message behind the BYO notice? Come prepared. To fully appreciate the colonial ambiance, the best accommodations in town are found at Ye Olde Smokehouse (www.thesmokehouse.com.my). 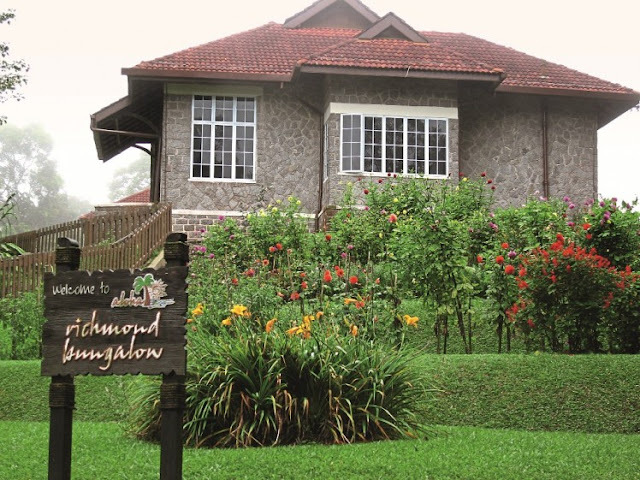 While related to the similarly named hotel in the Cameron Highlands, it operates independently but offers a related style of accommodations. This Tudor-inspired establishment of just a handful of individually-styled guestrooms features four-poster beds. Private and some public bungalows are available with HRH Bungalows (www.hrhbungalows.com) having six available costing about RM2,000/night for the whole bungalow (four bedrooms). Una Vista Bungalow on Girdle Road (+6013.818 5760 or +609.362 2249) specialises in refined accommodation for naturalists and dedicated birdwatchers. Stephen Hogg can arrange activities for in-house guests. 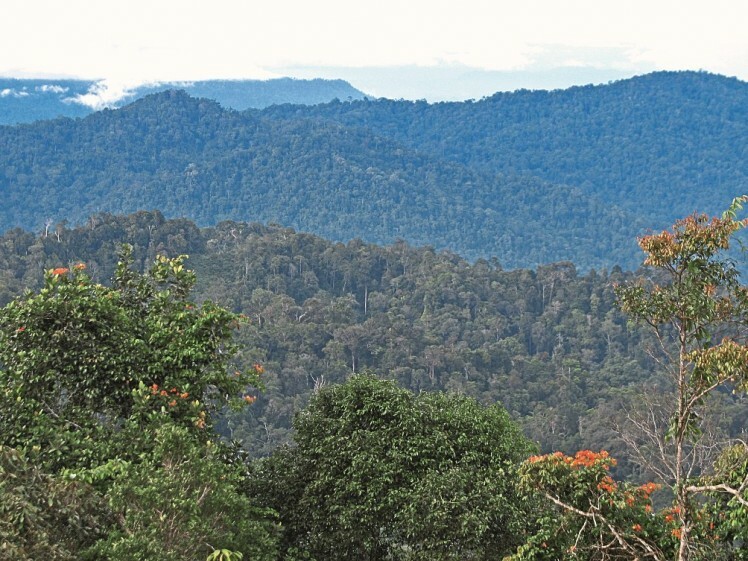 Surprisingly, Fraser’s Hill is very well known with global birdwatchers who flock here seeking out some 270 bird species some of which are seen nowhere else in the world. Fraser’s Hill is less than a two-hour’s drive (104km) northeast of Kuala Lumpur. While similar to the Cameron Highlands in some ways, Fraser’s Hill is much smaller and more sedate in nature. Public transport is non-existent except for long distance taxis from KL or Tapah (Tapah Road train station). Fill your petrol tank up before heading up the mountain, as fuel isn’t available at Fraser’s Hill.